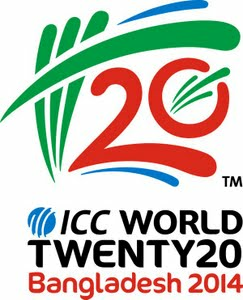 The ICC World T20I 2014 will be the fifth ICC World Twenty20 competition, an international Twenty20 cricket tournament that is scheduled to take place in Bangladesh from 16 March to 6 April 2014. The ICC World Twenty20 2014 will be played by 16 teams, but top 8 Test teams enter directly into super 10 stage and Bangladesh and Zimbabwe, who finished outside the top eight, will compete with six other qualifying teams (Afghanistan, Ireland, Nepal, Hong Kong, UAE and Netherlands) in the first round from March 16 to 21 for the remaining two places in the Super 10 groups. Final match will be played at Shere Bangla National Stadium, Mirpur on April 06, 2014. Total prize money $3 million.